You or your bestie is having a baby! Before you buy out the entire baby section at Marshall’s (you can do that later), you need to start thinking about the baby shower! Planning the perfect baby shower can be overwhelming! The first step (and one of the hardest) is picking an awesome theme and we're here to help! In this article, we discuss the best baby shower themes and ideas! Below, you'll be able to choose the perfect theme from our list of super popular baby shower trends. Unique Baby Shower Themes Are So Much Fun! A baby shower is a joyous occasion filled with excitement, love, and happiness! It’s so wonderful when someone you know is expecting a child. Coming together at a baby shower to celebrate the mommy-to-be and her soon-to-be family sets the perfect tone for the beginning of her whole new adventure. 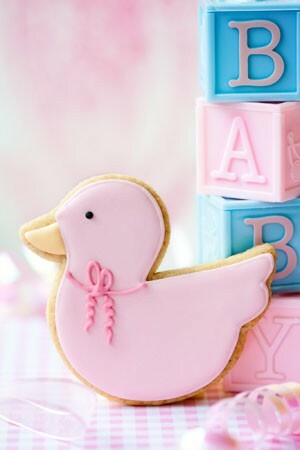 Traditionally, baby showers have been themed to match the gender of the future baby. If the parents didn’t know whether they were expecting a boy or a girl, a gender-neutral baby shower color was used. Pink, blue, and yellow baby showers were basically what you could expect upon receiving an invitation to a baby shower in the mail. That's so old school! It's time to bring in some fresh, non traditional baby shower ideas! Nowadays, expectant mommies everywhere are switching things up! It's really popular for friends and families to throw baby showers that are themed after the mommy-to-be’s favorite movie, book, or television characters. It's so much fun! Think about it. Children have been having themed birthday parties for ages now. Why not take all the fun that comes with a child’s birthday party theme and incorporate it into a baby shower? Guests love a themed baby shower since it usually allows for fun, exciting games, food, and decorations that really show off the mommy-to-be’s creativity (or her friends’ and family’s creativity!). So let's get into some unique baby shower ideas! The biggest challenge will be choosing between all of the cute baby shower themes that are out there. Check out our list of modern baby shower ideas below and see which one fits the best. It's time for some baby shower inspiration! How Do I Pick a Unique Baby Shower Theme? When picking a theme for the expectant mother’s baby shower, the most important thing to keep in mind is to pick one that she is going to love! Luckily, this article is jam packed with incredible baby shower ideas to help you choose! Has she always been into Star Wars? Is the Nightmare Before Christmas her favorite movie? Did she always want to be a mermaid growing up? We’ll delve into all of these baby shower party ideas (plus many more!) below. Our baby shower bloggers got you covered! However, don't forget the music for your baby shower (click here for an amazing playlist)! If you're picking the theme and your bestie(s) is doing the rest, don't forget to get them an incredible appreciation gift (click to see guide)! Let's discuss the best baby shower ideas and themes in 2019! When scrolling through the ideas for baby showers below, think about the mom-to-be and what theme would make her feel super special. Whether you're having a baby shower at home or a commercial location, there's so many options! 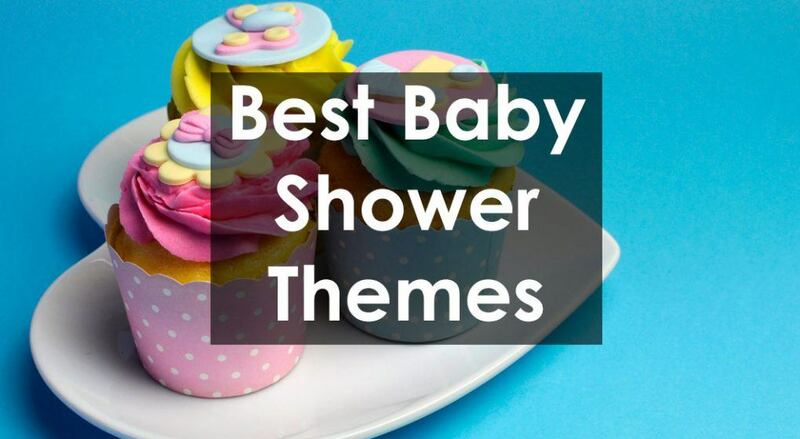 Some of these themes are also great for small baby shower ideas. I hope the list below gives you some amazing baby shower decorating ideas! In a land far, far away, there is going to be a fabulous baby shower thrown for an expecting Queen! 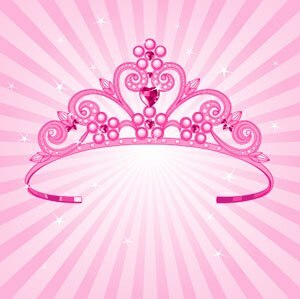 The princess idea is a great theme to do when the mommy is expecting a little girl. However, you could always spin it so that the expectant mommy herself is the princess for a day. From crowns and tiaras, to kissing frogs and knights in shining armor, a baby shower with a Princess theme is one your guests will never forget! In addition, your kingdom will love you for hosting such a regal affair. This is probably one of the most simple baby shower ideas to host! Mommy-to-be’s soon-to-be baby may not be the next in line to the throne, but he sure will be treated like royalty from the moment he is born! However, the royal treatment doesn’t have to wait until his birth day. Host a baby shower with a Prince theme and celebrate him and his mama like the little prince and queen they are! Choose this theme if you are prepared to plan a party fit for a royal – from an elaborate invitation to stunning décor. Perhaps your mommy-to-be is having a princess instead of a prince, and you want to shower her with equally royal treatment. Enter the baby shower with a Royalty theme. Prince, princess, countess or queen, there is room for the entire royal family at this shower! It's a great idea for unisex baby showers. Moreover, this theme can allow you to channel your inner desires to be real life royalty. This theme is definitely one of the most extravagant baby shower themes on the list. Mustaches were once left behind in the 80s and 90s, but they are making a comeback! At least when it comes to baby showers. Therefore, if your mommy-to-be is expecting a little boy, the baby shower doesn’t have to stop at hues of blue. Class it up with a Little Man/Mustache theme. What does this mean? Think tuxedos, bowties, mustaches and more – all in miniature size! Sooo cute! One glance at some of the decorations available and you’ll be sold! This is one of my favorite baby showers ideas. It's also one of the most popular modern baby shower themes ideas. 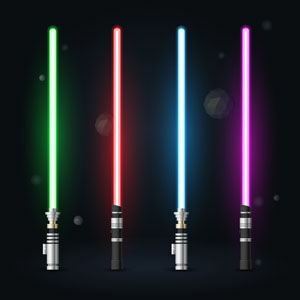 “It’s a Jedi!” Thanks to its recent Disney revamp, Star Wars has once again become a cultural phenomenon. For an expectant mommy that has always loved watching the Star Wars movies, reading the literature and/or collecting the figurines, this theme would finally fulfill her dream of visiting another galaxy! Give the Rey or Princess Leia in your life a baby shower that will leave both her and her guests with an experience that was out of this world! Or perhaps, you want to honor a young Luke that is about to come into this galaxy. Either way, this idea is a great neutral baby shower theme. Celebrate “the boy who lived” by throwing the mommy-to-be in your life a baby shower with a Harry Potter theme. If the expectant mother grew up during the early-to-mid 2000s, chances are she is a Harry Potter fan. If she’s a superfan and has always dreamed of enrolling in Hogwarts (but her letter just keeps getting lost in the mail! ), this is the theme for her. Let your guests sip on Butterbeer and play a game of Quidditch while exclaiming, “You’re a wizard, baby!” Conjure up a baby shower that everyone will love! This theme is obviously one of the most modern shower ideas. It's one of the best neutral baby shower themes. Have some fishy fun at your baby shower by incorporating a mermaid theme! The mommy-to-be is basically a mermaid anyway, so what better way to honor her than with a majestic mermaid party? In addition, you can put together a nautical color scheme of purples, greens, and blues and break out the seashells. Also, you can make some bubble decorations out of balloons and serve “seafood” themed treats! There are so many creative, cheap ways to get your guests in the underwater spirit. The new baby will be the star of the show with the Twinkle Twinkle Little Star theme! We all know the classic nursery rhyme, and have sung it many times during our childhood. Bring it back for your next baby shower! Moreover, by decorating your venue with dark blue decorations and yellow accents, you’ll create a celestial masterpiece. With this theme, glitz and glamour with fun hints of whimsy will make your baby shower stand out. It's one of the best choices for baby shower themes unisex. Wouldn’t it be nice to live in a fairytale? The real world can be a bit rough around the edges, so we suggest escaping reality for an afternoon to host a baby shower with a Once Upon a Time or Fairytale theme. For example, you can incorporate princes, princesses, beautiful scenery, magical treats, royal favors and more! These can all be a part of this special day. It’s like playing dress up for a day, grown up style! What mommy-to-be will be able to resist a party fit for a fairy-tale princess? In my opinion, this is one of the most fun baby shower themes! There's a lot of fairy tales you can incorporate into the theme. In addition, if you’re feeling so moved, you can even play some Croquet (although you don’t necessarily have to use flamingos as mallets!). Alice in Wonderland has entertained so many people. Therefore, your guests are sure to enjoy this fun, Disney baby shower theme! It is also one of the most unique baby showers you'll see. It can also be a very whimsical baby shower theme (fun!). Jack Skellington and his crew of freaky monsters have become well-loved by many. If the mommy-to-be has always loved Tim Burton’s famous Halloween movie, then you have the perfect opportunity to throw her a baby shower based on the Nightmare Before Christmas! What’s great about having a shower of this theme is that you can bring out all of your old Halloween decorations and use them to decorate your baby shower venue. Of course, there is a whole slew of new, creative decorations, foods, and games you can make too. Who didn’t want to be a superhero as a child? Here’s your chance to make your childhood career aspirations come to life! From Spiderman and Superman to Batman and The Hulk, there is a lot to work with when it comes to a baby shower. Moreover, the sheer variety of superheroes makes the décor, food, music and favor options endless. Plus, who doesn’t love a baby superhero? The more generic superhero motif is one of the best gender neutral baby shower themes, as there's lots of superheros from both genders to choose from! Whether your mommy-to-be is expecting a boy or girl, the little bundle of joy is sure to be the Superman – or Superwoman – of everyone’s hearts. Transform your baby shower into the city of Metropolis, complete with power-packed food, décor and games. Even better, this theme does a lot of the work for you. Your color scheme is decided for you – red, blue and yellow, of course! – and there are countless free and paid printables available for download on crafty sites like Etsy. Channel your inner Superwoman, it’s time to plan a super shower! Maybe no superhero tugs at the mommy-to-be’s heartstrings quite like Batman. If that’s the case, the challenge of picking a theme is made easy. A themed babyshower with Batman at th ecenter is a great option for honoring a soon-to-be baby boy. In addition, grown-ups and children alike will appreciate this theme and you won’t have a problem finding materials to match. From printable banners and games to Batman-centric plates and party favors, your planning is easy as 3-2-1! You’d be hard-pressed to find an 80s or 90s kid who didn’t own at least one piece of Teenage Mutant Ninja Turtle paraphernalia. This team of super cool teenage turtles took the world by storm and haven’t stopped since. Consequently, a Ninja Turtle theme is one everyone can get on board with, including the mommy-to-be and her baby turtle. Plus, it’s the perfect excuse for pizza! Can Pixar ever do wrong? The company is, of course, the mastermind behind the very popular Monsters’ Inc. movie. Sully, Mike and Boo may not be able to make it to your shower, but they can certainly be there in spirit through jaw-dropping décor, delicious on-theme treats and take-home party favors. In addition, this theme works really well if the expectant mommy is having a little boy. If she’s having a little girl, though, you can still throw her a Mickey Mouse bash! What’s a Mickey Mouse without his Minnie? We would never exclude the most famous female mouse from our list of the top baby shower theme ideas! If your mommy-to-be loves the most fashionable Disney character around, then throw her a baby shower based on a Minnie Mouse theme. Pink, red, and white decorations will look beautiful when used to decorate your baby shower venue. Use a lot of balloons and other kid-friendly decorations to transport your guests to Walt Disney World. Elephants are gentle giants and there are many women who just can’t get enough of these impressive creatures. The great thing about throwing an babyshower with this theme is that elephants are generally considered gender neutral. Thus, you can use this theme even if you don’t know what the expectant mommy is going to have. Use pastel colors and some cute elephant banners and streamers to show off your elephant theme. 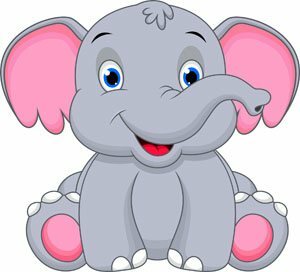 This one is one of the best baby themes for baby showers (baby elephants are the cutest!). Two by two Noah guided the animals of the Earth onto his wooden ark. Now, imagine if all of those animals were baby animals? That’s exactly the level of cuteness you can expect at a baby shower centered on a Noah's Ark theme. Start with invitations spotlighting these cute, furry friends to build up your guests’ excitement and anticipation. Then, wow them with spectacular animal accents and an elaborate cake – shaped like Noah’s Ark, of course. This is a baby shower motif your guests won’t soon forget! Buzz your way into your baby shower! While a bumble bee costume isn’t required shower attire, there are plenty of other ways to bring a baby shower to life and make it really buzz. Your color scheme is set – yellow and black. In addition, your food is easy – everything and anything honey. Moreover, your party favors are equally sweet – jars of homemade honey, anyone? See, a themed shower isn’t as overwhelming as you may have thought. Now, it’s time to start planning a buzzworthy baby shower! This idea makes one of the best spring baby shower themes. However, there's several spring baby shower ideas to choose from in this list. Is your mommy-to-be animal obsessed? Or maybe she’s more of the outdoorsy type who appreciates all the beauty nature has to offer, animals included? If you answered yes to either of these questions, a baby shower based on the Woodland is the right choice for you. Baby animals aren’t hard to come by – in figurine form for décor or art form for invitations. Plus, if you are hosting the shower outdoors, this theme is a natural fit. Don’t worry, real woodland animals not required, but how fun would that be? This theme is one of the best ideas for a spring baby shower. Who, who, whooooo loves baby owls? If your mommy-to-be does, or if the baby’s nursery is decked out in all things owls, consider hosting a baby shower focused on owl friends. There are countless ways to incorporate owls – big and little – into your baby shower invitations, decor, games and food. The internet will be your best friend with this theme. There are free and paid on-theme printables that will help you easily – and tastefully – bring your owl theme to life. No, we’re not suggesting you make your baby shower 80’s rock band themed! (Unless you’re into that, then go for it!) Turn your baby shower venue into a jungle by using a wide array of plant and animal decorations. It will make your guests feel like they are on a safari! Small animal statues and animal-shaped foods can transform your party into a fantastic adventure. Jungle themes for a baby shower are definitely for the expectant mommy with a wild side! Few things conjure up thoughts of babies and bath time quite like a clan of rubber duckies. Why not prepare the mommy-to-be in your life for the special moments she’ll soon experience during bath time with a baby shower swimming in Rubber Duckies? Plus, who doesn’t love a cute little rubber ducky? Put one on the invite, on the guest tables, in the photo booth and in your party favors. Trust us, there is no such thing as too many rubber duckies! What are little girls made of? Sugar, spice and everything nice! We’d venture to guess little boys are just as sweet. 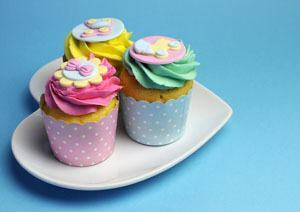 So, whether your mommy-to-be is preparing for blue or pink, a baby shower centered on Sugar and Spice can be really nice. Based on the classic nursery rhyme, this theme was literally made for babies. And can’t you just taste the plethora of sweet, sweet treats you can serve at this shower? This shower truly will be sugar, spice and everything nice! Was your mommy-to-be a ballerina in her younger years? Or maybe she still is? What better way to celebrate her and her baby girl than with a shower filled with the girliest tutus? 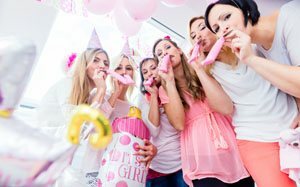 From photo booth props and party favors to sweet treats and tutu-centric games, a baby shower centered on tutus is a girl’s dream come true. Don’t want the girly fun to stop at tutus? Host a ballerina themed baby shower! Feminine fabulousness will abound in every nook and cranny of the shower. Tutus, leotards, ballerina slippers and tiaras are just the beginning. Pink or purple with subtle accents of cream or grey are easy yet beautiful color schemes. What's the best part? The possibilities for absolutely adorable ballerina-centric invitations are nearly endless so your guests will have no doubt that they’ll soon be walking into a ballerina’s paradise! Having a baby shower that is covered with lace, pearls, and mason jars is so in right now. Shabby chic baby showers make the mommy-to-be feel beautiful and dainty, and are super on-trend. You can decorate your venue with decorations from nature, such as flowers and tree branches. Pick food that can all be served in mason jars. And give the expectant mommy a beautiful flower crown made out of baby’s breath to transform her into a shabby chic goddess. A baby shower with a vintage theme can allow a host to get really creative! By going to thrift stores like Salvation Army and Goodwill and picking out old, vintage decorations, you can really vamp up the authenticity of your vintage shindig. Think pearl necklaces and fine china (fake china is perfectly acceptable) when you’re putting together the decor for your vintage themed baby shower. Decorate the venue with old pictures of the mommy and daddy-to-be’s family to add a sentimental touch to your party. Those looking for a baby shower that is a little more on the relaxed side can implement a rustic theme! Rustic decorations are all about being down home and comfortable. And the food at a rustic themed baby shower has better be as good as mama's cookin’! Rustic baby shower games can be silly and laid-back, and can really let guests take their shoes off and have a good time. A rustic mommy-to-be is someone that enjoys the simpler things in life, like hanging out with her close friends and family and celebrating what really matters: her new baby. Ah, Paris, the City of Love! Give all of your guests play passports and travel to a whole other country at your baby shower! Decorate your venue with Eiffel Towers, black berets, and romantic music. A pink, black, and white color scheme would look marvelous at your baby shower affair. If the expectant mommy in your life has always dreamed of making the trip across the pond to Paris, then make her dreams come true and throw her a chic baby shower with a Paris theme. It's one of the most elegant baby shower ideas, and this theme could make one of the most beautiful baby showers! Breakfast at Tiffany’s is basically required viewing material at this point. If your mommy-to-be has always loved Audrey Hepburn in this classic film, then you can throw her a baby shower with a Breakfast at Tiffany’s theme! Decorate the venue with Tiffany Blue decorations and place pictures of Audrey Hepburn all over your baby shower venue. In addition, pearl necklaces are a must, and you can ask all of your guests to wear one to your party! Who doesn’t love the sound of waves crashing, the feeling of sand on your toes and the warmth of sunshine on your skin? If this describes you and your mommy-to-be’s “happy place,” you must host a baby shower with a beach theme. It's one of the best summer baby shower themes and also one of the best outside baby shower ideas. Treat your mommy-to-be to one last day of relaxation before the craziness of motherhood begins, complete with sunshine, sand, ocean waves (or at least a sound machine that has an “ocean” setting!) and beach balls. Bonus points if you host the shower at the beach! This theme is a one of the best summer baby shower ideas to consider. If you'll be hosting a summer baby shower, this one is a lot of fun. Have your guests shouting “anchors aweigh!” as they arrive to your nautical themed baby shower. If the expectant mommy has always dreamed of being a sailor, or has a love of all things water, then this theme will work wonderfully! Decorate your venue in blue, white, and red decorations and give everyone a sailor’s hat as they walk into your shower. A baby shower with a nautical theme will leave your guests wishing they could go out to sea! Yarrr! Pirates are so much fun! Consider hosting a baby shower with a pirate theme. There's a lot of things you can do with pirate decor, and this one can be lots of fun! Have everyone talk in a pirate voice if you like. Take a trip with your family and friends back to the old west and throw the mommy-to-be in your life a baby shower with a Wild West vibe! If she is a big horse fan and loves riding horses, this would be an ideal theme for her. Have everyone wear their cowboy boots and bandanas and have your guests get really into this theme! Use bales of hay as decorations and lassos to spell out the future baby’s name. Yee-haw, it’s time to go out west! This is a very fun unconventional baby shower to have. Snow-covered pine trees, cozy blankets, crackling fires, steaming hot cocoa and warm gingerbread cookies. That could be the backdrop for your baby shower. If your mommy-to-be is a snowbird whose favorite months of the year fall between December and February, this theme is the one for you –and her! Think about mommy-to-be’s favorite elements of this snowy season and incorporate those into the shower. There are so many Christmas baby showers ideas to potentially use! Maybe fall is more up mommy-to-be’s ally. Chilly breezes, falling leaves, pumpkin everything, apple cider and hay rides. Can you think of any combination more perfect? If your baby shower takes on a fall theme you can incorporate all of these elements – and more – for the special day. After all, who doesn’t like pumpkin treats and crisp hues of red, yellow and orange? A fall theme is one of the most easy baby shower ideas to implement, especially if it's actually Fall time! It's a go to if you're looking for autumn baby shower ideas. This theme is definitely one of the most cool baby shower ideas (pun intended). If you’re baby shower falls around Halloween time (or even if it doesn’t! ), throwing a Halloween themed party can get your guests into the spooky spirit! This theme is great if you're looking for baby shower ideas at home. Encourage your guests to come in costume and to be ready to partake in a whole bunch of fun Halloween party games from their childhood. Black and orange decorations can be used to add Halloween elements to your party. And of course, Halloween candy can be given out as party favors. ROY G. BIV. It’s not the name of the soon-to-be baby, but it could be the color palette for your baby shower. Now that the colors are set, your planning just got so much simpler. Anything you do, make sure it’s red, orange, yellow, green, blue, indigo or violet – it’s that easy! Food, décor, party favors, games – anything you plan to have at your shower, paint it rainbow. This theme is simple, fun and, oh yeah, colorful! However, if you prefer to focus on a particular color theme, that's great too! A pink and green baby shower is a very popular choice, as is a pink and yellow baby shower. In addition, a blue and brown babyshower or a blue and yellow baby shower are fun color themes to go with. A rainbow theme is one of the best alternative baby shower ideas, especially for gender neutrality. As you can see, the number of babyshower ideas out there is staggering. This is great because it allows you and the mommy-to-be to pick from several babyshower themes that will be perfect for her! As mentioned previously, the most important thing is that you pick a theme that is approved by the expectant mommy, and that is something she will really love. The only limit is your creativity as you decide which theme is right for your upcoming baby shower! I hope you enjoyed our cool shower ideas! Here's to lots of beautiful baby showers in the near future!